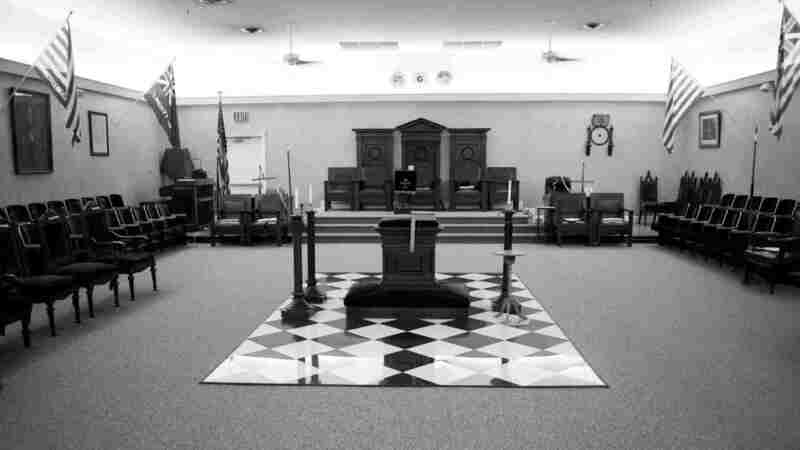 The Forget-Me-Not – Olive Branch Lodge No. 16 F. & A. M.
The story behind this emblem of the Craft in Germany. As early as the year 1934, soon after Hitler's rise to power, it became apparent that Freemasonry was in danger. In the same year, the German Grand Lodge of the Sun in Bayreuth (one of the pre-war German Grand Lodges), realized the imminent problems facing them and elected to wear a little blue flower, The Forget-Me-Not, in lieu of the traditional Square and Compasses, as a mark of identity for Masons. It was felt the new symbol would not attract attention from the Nazis, who were in the process of confiscating and appropriating Masonic Lodges and property. Masonry had gone underground and it was necessary that the Brethren have some readily recognizable means of identification. Throughout the entire Nazi era a little blue flower in a lapel marked a Brother. In the concentration camps and in the cities a little blue Forget-Me-Not distinguished the lapels of those who refused to allow the Light of Masonry to be extinguished. In 1947, when the Grand Lodge of the Sun was reopened the Bayreuth by Past Grand Master Beyer, a little blue pin, in the shape of a Forget-Me-Not, was proposed and adopted as the official emblem of the first annual convention of those who had survived the bitter years of semi-darkness, bringing the Light of Masonry once again into the Temples. At the first Annual Convent of the United Grand Lodges of Germany in 1948, the pin was adopted as an official Masonic emblem honoring those valiant Brethren who carried their work on under adverse conditions. Thus did a simple flower blossom forth into a meaning emblem of the Fraternity and became perhaps the most widely worn pin among Freemasons in Germany. In many Lodges, the Forget-Me-Not is presented to new Master Masons, at which time its history is briefly explained.